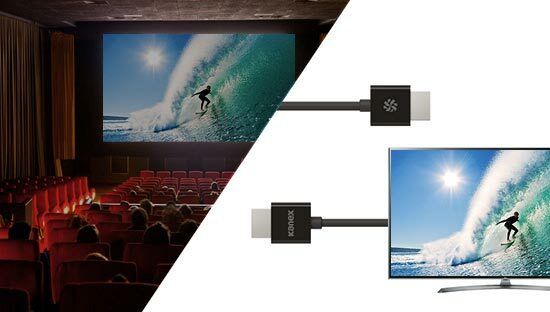 Cinema Quality at Home Everything looks better with Kanex HDMI® Cables, simply connect to your HDTV and watch your favorite movies and TV shows from home. Everything looks better with Kanex HDMI® Cables, simply connect to your HDTV and watch your favorite movies and TV shows from home. 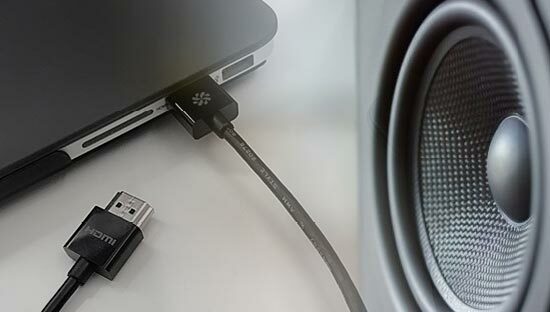 Our cables are HDMI® compliant to support 1080p and up to 4K resolutions. While 4K is about adding more pixels, HDR is about creating better, more dynamic-looking pixels. It does that by boosting contrast and brightness, and providing a wider range of colors than you can get with current 1080p content and displays. Kanex HDMI cables fully support HDR! 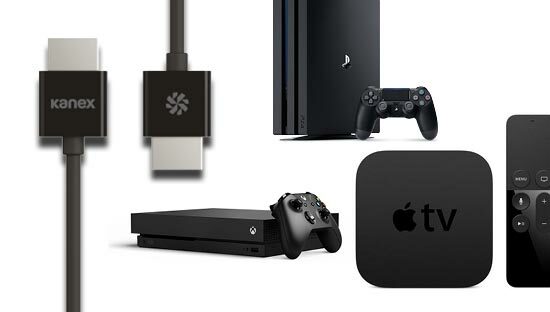 Easily switch between your Apple TV, Xbox One, Playstation 4, or other HDMI® devices without the need to optimize your display settings. Audio Return Channel eliminates the need for a separate audio cable reducing clutter. All HDMI port supported devices.